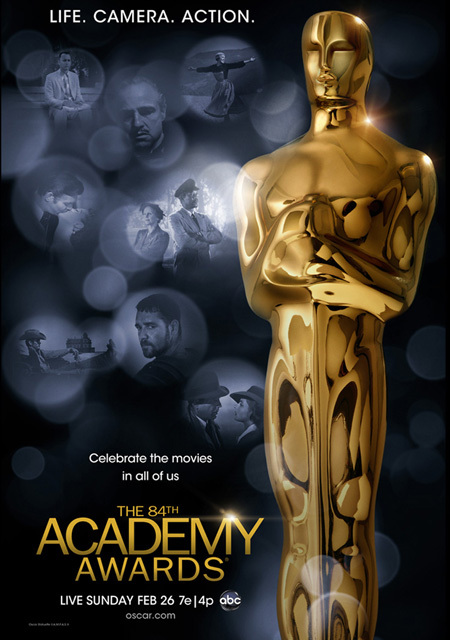 84th Academy Award poster unveiled! 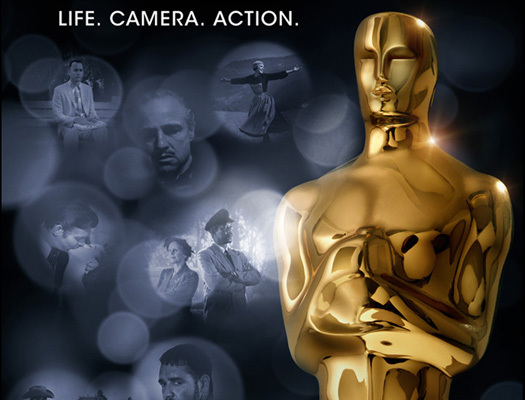 In a press release today the Academy of Motion Picture Arts and Sciences revealed the new poster that will be used to promote the 84th Academy Awards that will take place in Hollywood on February 26, 2012 at the Kodak Theatre. The theme this year is “Celebrate the movies in all of us” which is the tagline in the poster. According to the Academy the design is meant to evoke the emotional connections we all have with the movies. “Whether it’s a date or a holiday gathering with friends or family, movies are a big part of our memory” said Academy President Tom Sherak. The poster features iconic films on the poster in a memory-style haze shown in air-bubbles of the following films spanning eight decades: “Gone with the Wind”(1939), “Casablanca” (1943), ‘Giant” (1956), “The Sound of Music” (1965), “The Godfather” (1972), “Driving Miss Daisy” (1989), “Forrest Gump” (1994), and “Gladiator” (2000). The films were also chosen because they each won the Academy Award for Best Picture except for “Giant” which the director, George Stevens won for Best Director. The poster will be available to the public in theaters in the U.S. and internationally, along with a theatrical trailer that will start screening on January 6. Movie fans can also download the poster image here:http://www.oscars.org/academy/posters-books/posters/oscar.html Feel free to use the art, designed by “Blood&Chocolate” design firm, as wallpaper and profile icons and to share with friends.